Here we go, ladies and gentlemen, let me introduce HDR Sky Maps for 3D Rendering and VFX! With this new feature, you can generate unlimited amount of 32-bit HDR Sky images to be used in your CGI productions. Day and night, dusk and dawn, pollution and haze, humidity and clear air – everything you can imagine in one software. 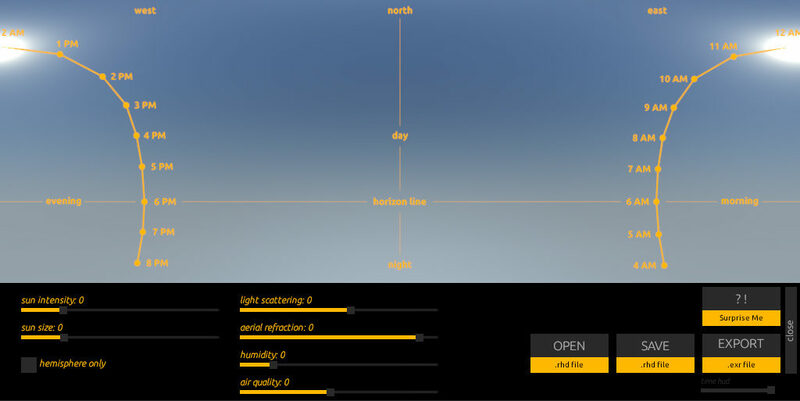 This is the launch release of SkyLight Module for Real HDR, but we already have a bunch of new features in our roadmap as clouds, weather conditions, environment and more. This update will be free for our customers and supporters from all around the world. The release is planned for Sunday 25th November, save the date (or purchase it today for the discounted price).